Take a 4 hr. drive this afternoon from Canby, MN to Walker, MN and you'll drop from 73 degrees to 37! Home » Featured » Take a 4 hr. drive this afternoon from Canby, MN to Walker, MN and you’ll drop from 73 degrees to 37! Take a 4 hr. 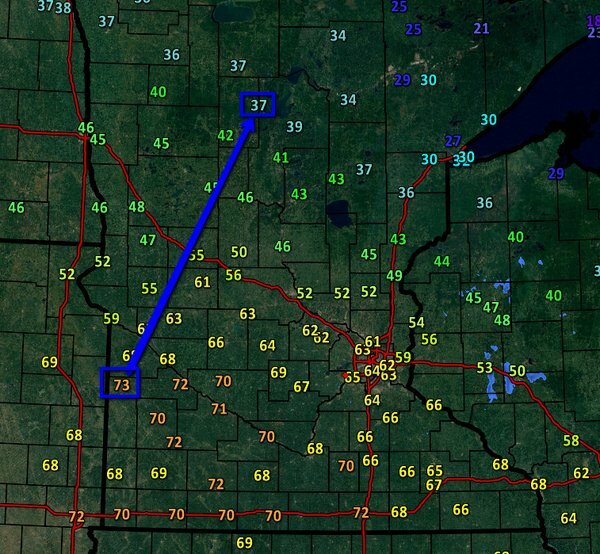 drive this afternoon from Canby, MN to Walker, MN and you’ll drop from 73 degrees to 37!